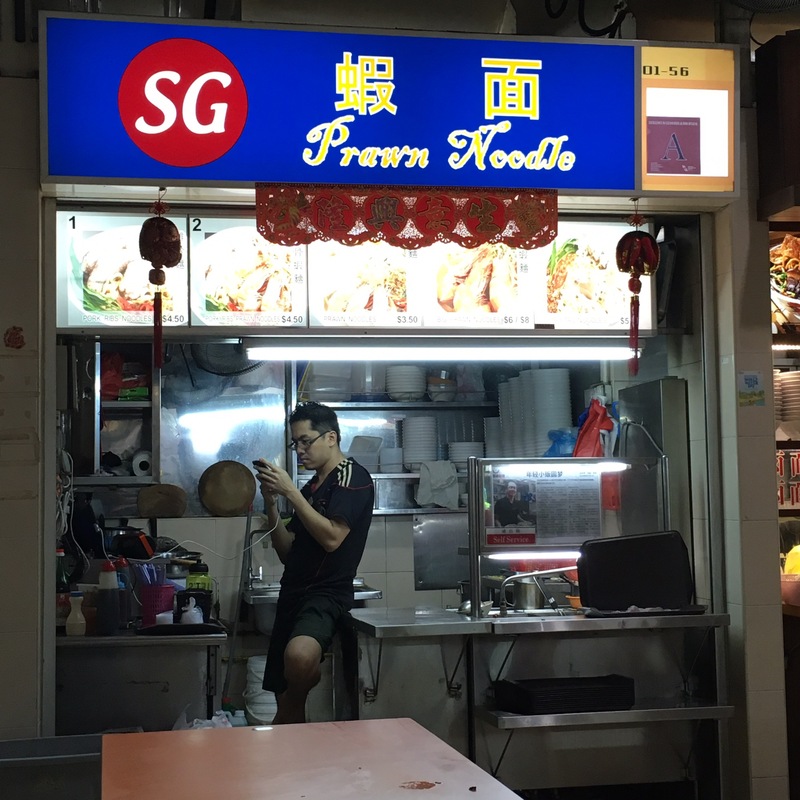 You know Whampoa is a place where many Legendary Hawkers come from. 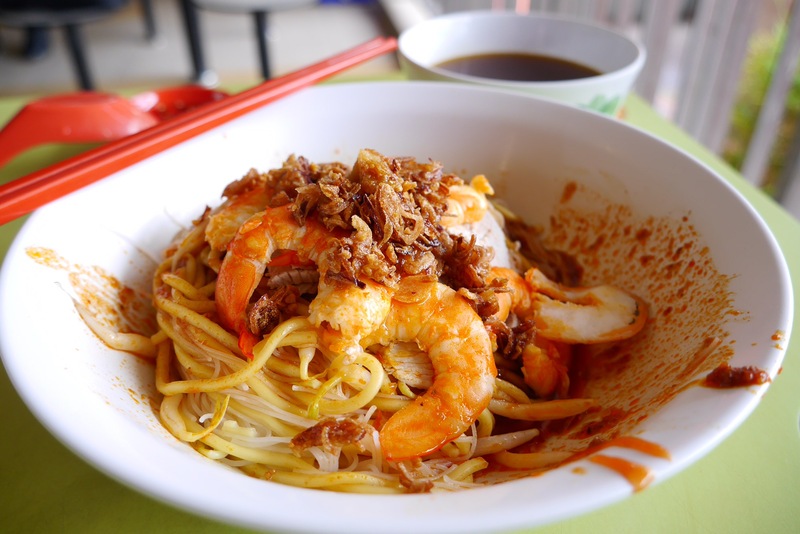 There’s Whampoa Keng Fish Head Steamboat, Rojak, Fried Hokkien Mee, and this 545 Whampoa Prawn Noodles. 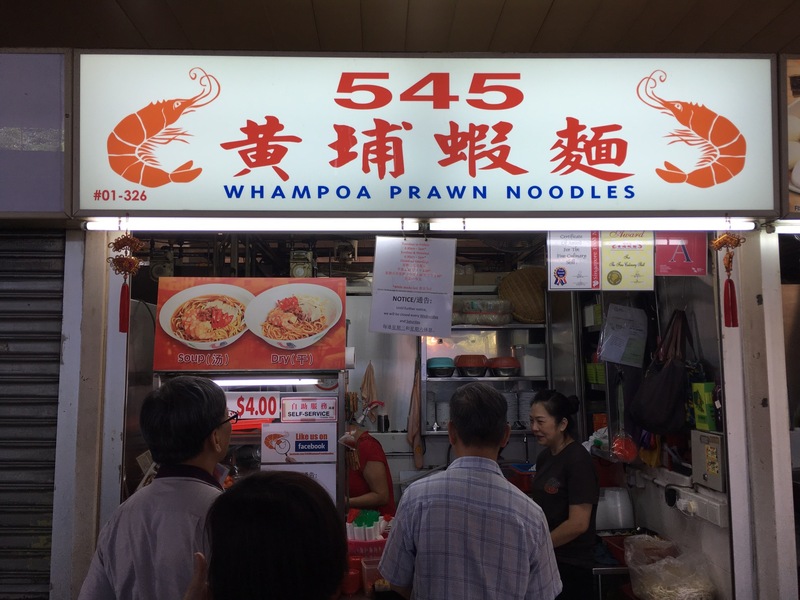 The original stall still operates at the Whampoa market by the Aunties while 3rd generation daughter Ruifang, operates at Tekka Market & Food Centre. Ruifang left the corporate world in 2013 to continue this 60 year old legacy by her grandfather. 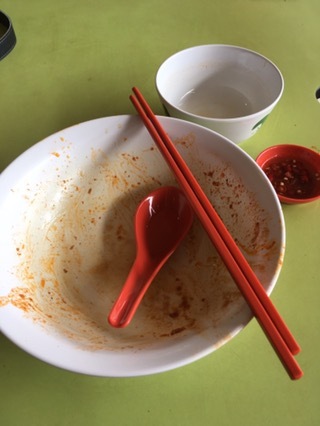 She is one of the few young hawkers who believes in keeping the tradition and legacy alive so that our kids and grandchildren know what we enjoyed during our times. I am extremely proud of these young hawkers and respect what they are going through. 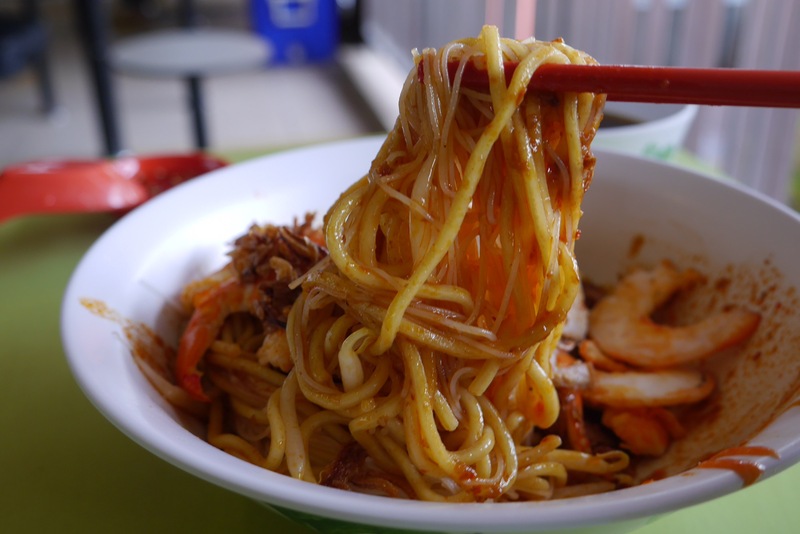 There’s only Kway Teow, Mee and Beehoon. So I usually order Beehoon + Mee dry. Dry so that I can taste the lovely legendary homemade sambal chilli and the blend of flavours coupled with freshly fried pork lard and shallots. My verdict is the noodles were really yummy and ingredients were generous even for portions of $3. 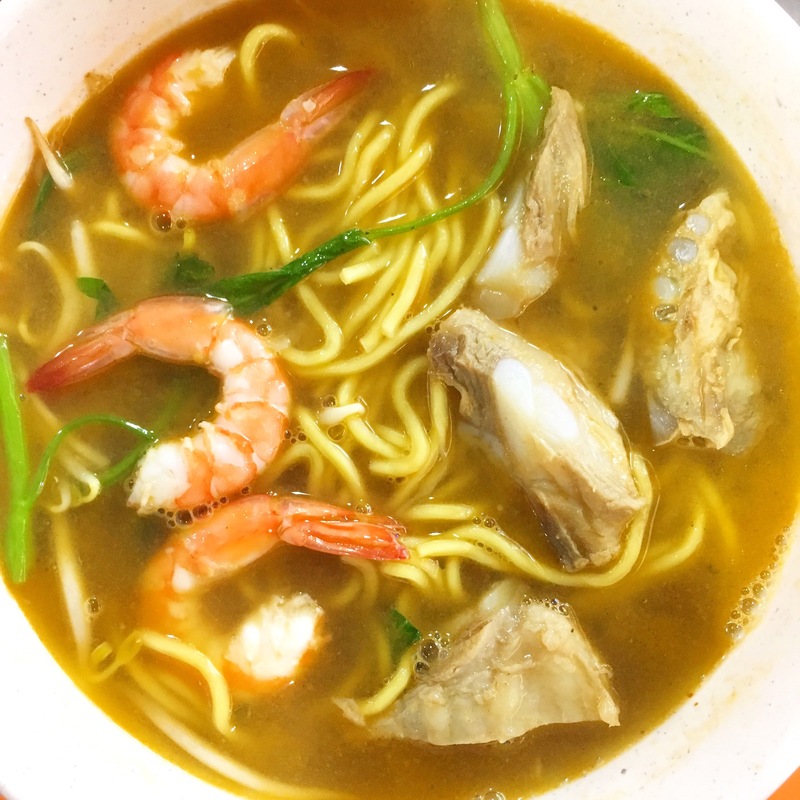 The broth was bursting with flavours, flavours of umami sweetness from so many prawns cooked in it. 5-15mins depending on your luck.